Do your kids love bath bombs? My girls went from taking a "big girl" shower, to wanting to soak in the bath tub, while enjoying the bath bombs they would buy at the store. They loved not just the scent the bath bombs left the water, but also the fun fizzy experience when the bath bomb hits the water. I don't recall bath bombs being around when I was little, but it seems bath bombs are all the rave for kids and adults these days. So, when I was asked recently to review the new FIZZY MAGIC bath bombs for my holiday gift guide, I jumped at the opportunity, as I knew my girls would love helping me review them, and they would make their "spa time" in the bath tub that much more fun. If you have going shopping lately, you have probably seen a number of different bath bombs available. Usually they are found in the bath and body sections of stores. But, many of these bath bombs are geared towards adult use. I have found it hard to find bath bombs for my girls, that were made for kids in mind, and that were of good quality. That was, until I was sent FIZZY MAGIC Bath Bombs. OMG, these are the coolest things. These bath bombs are unlike others I have seen , or that my girls have used. These kid-friendly bath bombs come with a clue about the surprise inside. 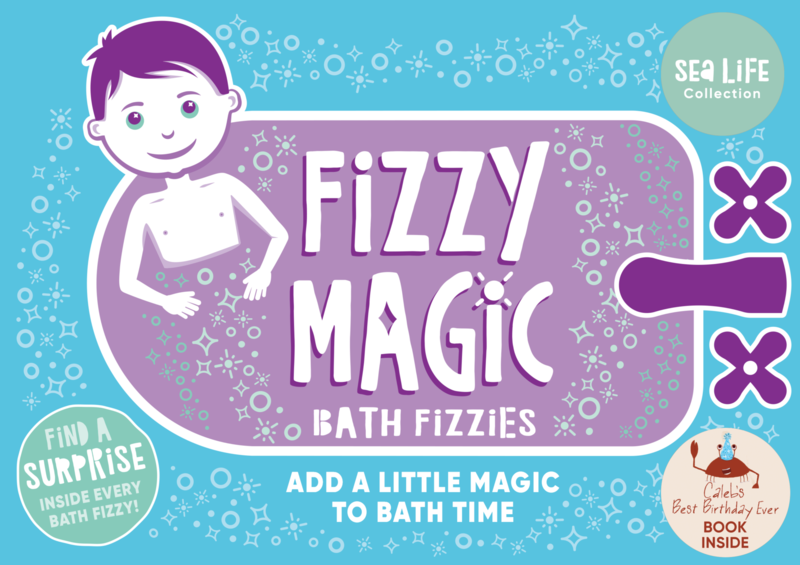 Kids will have fun guessing what the toy is, and then hopping in the tub and dropping their FIZZY MAGIC bath bomb in to dissolve and reveal the surprise toy inside. Once the toy is revealed, the fun doesn't end there. Kids can read fun facts (in our case we were sent the Farm Collection #1 series, so we had different animal toys and fun facts the girls read about with each) about the animal that was revealed. My girls really enjoyed this added bonus feature, as they love learning, and this is a fun way to share fun facts about animals with kids of all ages. There is also a bedtime story that you can share with your child after bath time is over, and they are all snuggled up under the covers in bed. Like I said, I was sent the Farm Collection #1 box which contained 5 bath bombs and the "Goodnight Lily" book inside the box. 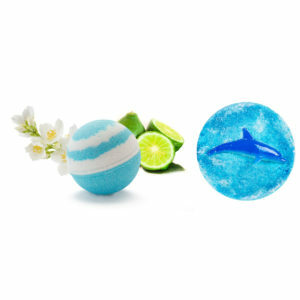 In addition to the amazing smell of each and the surprise toy inside, each of these kid-friendly bath bombs change the bath water a different color. We had blue, orange, pink, lavender and green water when using these bath bombs, and each and every bath had my girls smiling from ear to ear. They thought these bath bombs were so cool, and they loved how they fizzed in the water, and changed the clear water to a fun new color, just like magic. And, then they swished their hands around trying to locate the surprise toy, to see if they guessed the clue right. In addition to the Farm Collection we were sent, there is also a Sea Collection you can purchase, as well as individual bath bombs. Individual bath bombs would make for great stocking stuffers for your kids, and are only $7.45 each. 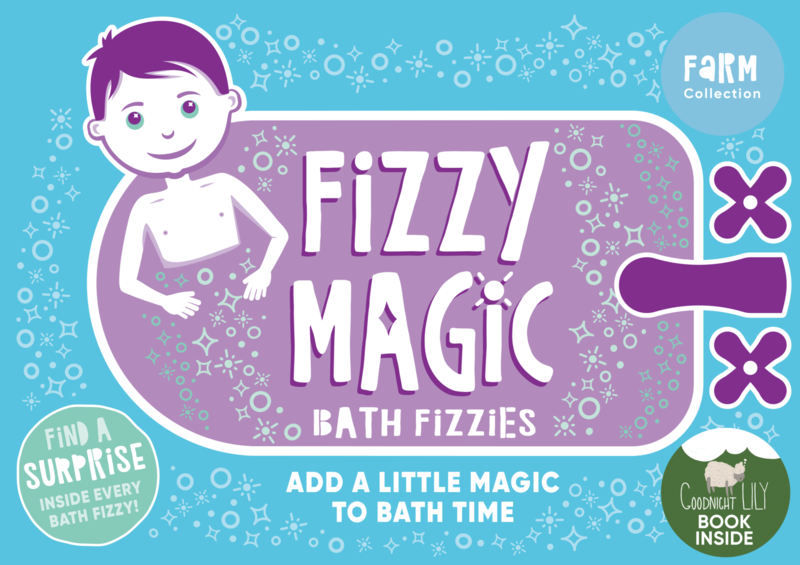 Farm (Cow, Sheep, Cat, Goat, Hen, Dog, Rooster, Duck, Goose, Horse, Pig), as well as individual bath bombs, by visiting www.fizzymagic.com. bombs are $7.45 each. Suitable for boys and girls, ages 4-9.